Model #: APC5012NC Click to view the whole line. 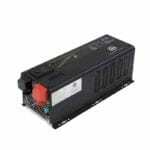 This is the only low frequency transformer based 5000 watt power inverter with 12V input, WORLDWIDE. It’s a combination of pure sine wave power inverter, 140A battery charger and power transfer switch with a peak efficiency of 88% . Ever since the release of the Sigineer Power 4KW 12V to 120Vac inverter chargers, our demanding customers have been asking for a larger inverter charger at 12Vdc. With 12Vdc input, you can see transformer based inverter chargers rated at 1000 watt, 2000 watt, and 3000 watt everywhere, but you rarely see any 12V 4KW inverters due to the strong DC input current, and you never saw any 12V 5000 watt power inverter till now. Sigineer Power is not the average Chinese inverter manufacturers , our engineers are more than capable of overcoming technical challenges which make other Chinese inverter competitors shudder at the thought. Hence, we launched the 5000 watt power inverter 12Vdc to 110V 120V and once again leave the competition far behind . This model is by far the only transformer based 12V inverter charger in the world with 5KW output. The 5000 watt power inverter charger with pure sine wave output is a combination of 12 volt power inverter, 140 amp battery charger and AC auto-transfer switch with a peak efficiency of 88%. The AC hard wire terminal block will output a continuous power of 5000 watts at 120 volts AC, and also a 300 percent surge capacity of 15,000 watt for up to 20 seconds. This 15KW surges runs many inductive tools and appliances easier with high startup surges, like electric chainsaws, portable grinders, refrigerators, freezers, microwaves and blow dryers. 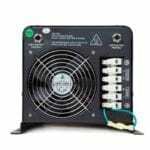 If you’re looking for a smaller 4000 watt inverter with similar features but at 120/240Vac split phase , check out the 4000 Watt 12 Volt Pure Sine Inverter Charger 120/240Vac Split Phase. 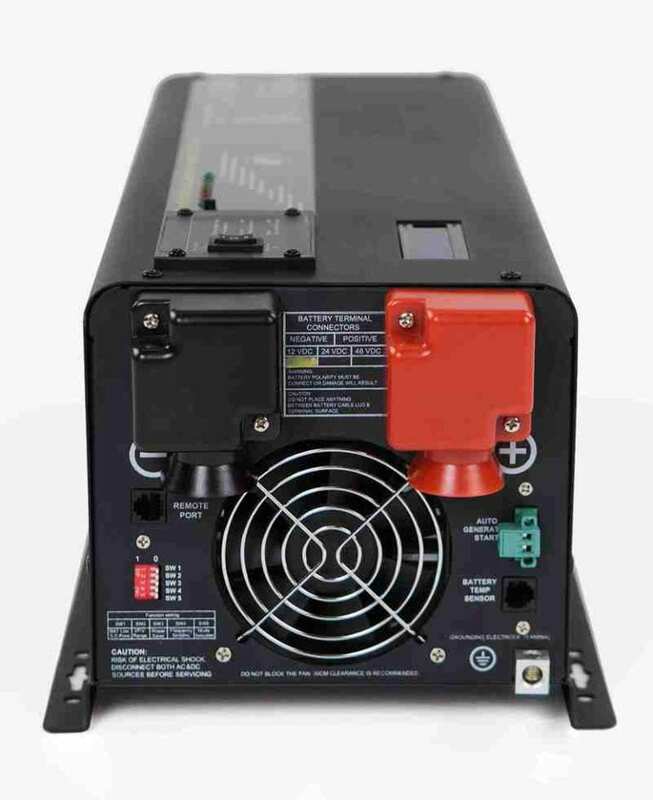 The 5000 Watt power inverter accepts 12 volts DC input, which is great for travel trailer, vehicle upfitting, semi, RV and boat applications with a 12 volt battery system. The inverter powers any type of loads, including Portable Induction Cooktop, microwave oven, electronic equipments. 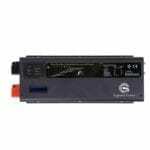 The automatic transfer switch on this any power combi inverter is great for emergency backup power applications, the switch keeps the power supply uninterrupted in the event of power outages. When the 4800 watt inverter charger is connected to shore power, once the loss of input AC electricity is detected, it will start pulling energy from battery bank within 10 miliseconds to keep the power supply constant. The AC/battery priority and auto generator start functionality make it suitable to work in either backup power or renewable energy applications. When set to battery priority mode, the any power combi inverter will extract maximum power from external sources and renewable energy systems, with only minimal battery cycles being required, this greatly prolongs battery lifespan. In AC priority mode, when utility AC power cuts off, the load is automatically transferred to the inverter output. Once the qualified AC power is regained, the load is automatically transferred to AC power. With auto generator start, the inverter is also able to command the backup generator to start when the battery voltage goes low. Other common applications for this inverter consist of off-grid cabins, mobile business or mobile office, and running camping equipments. This 5000 watt power inverter also has an optional LCD remote port, allowing you to turn the product on and off and monitor the operational status from a distance.